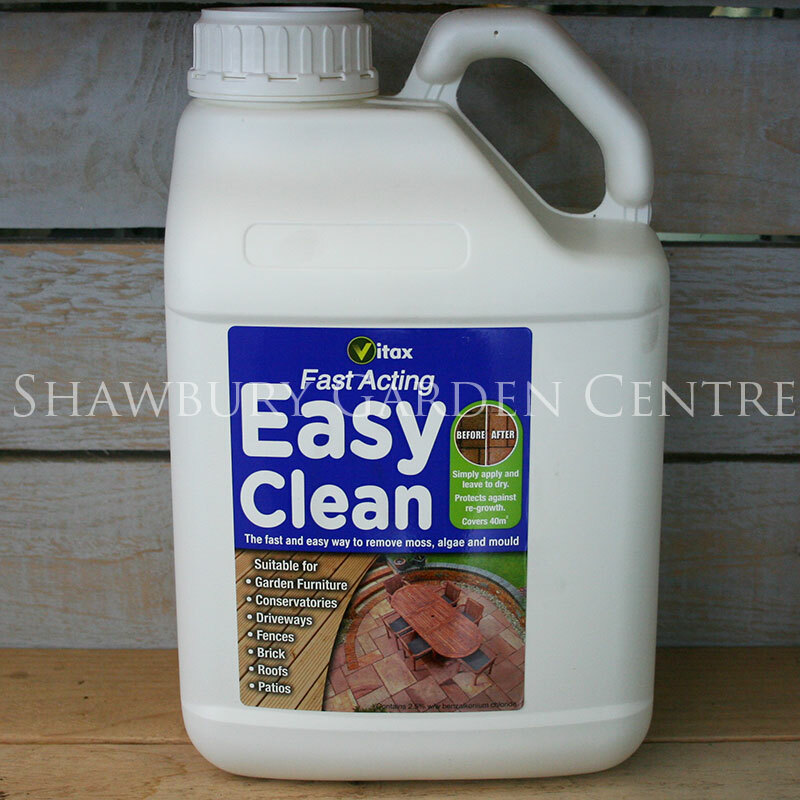 A convenient ready to use disinfectant for use around the home and garden. 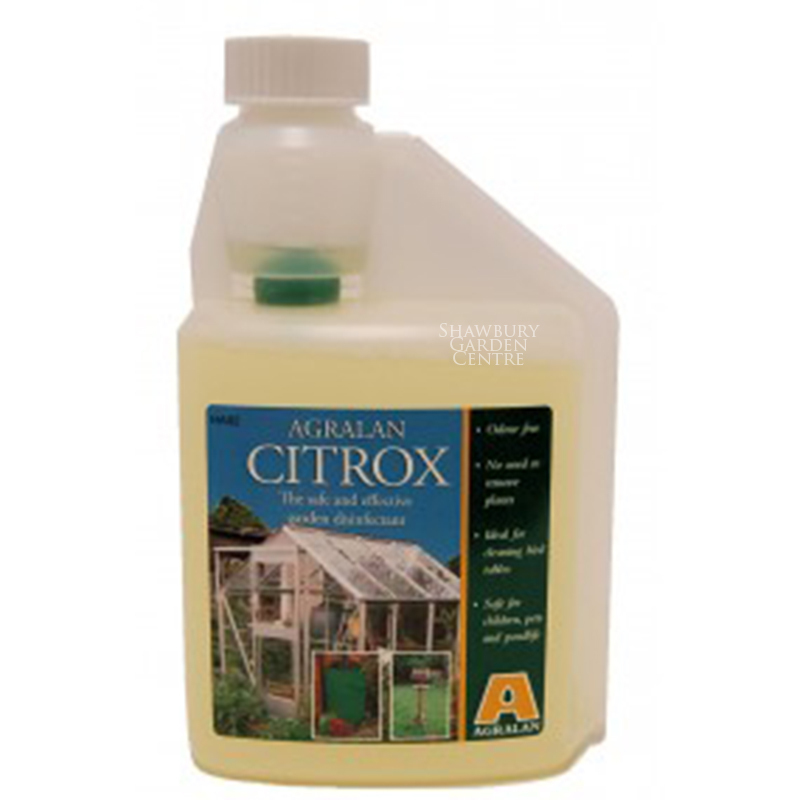 Outdoor liquid cleaning fluid for disinfecting pet housing, cleaning greenhouses and lots of other jobs around the garden. 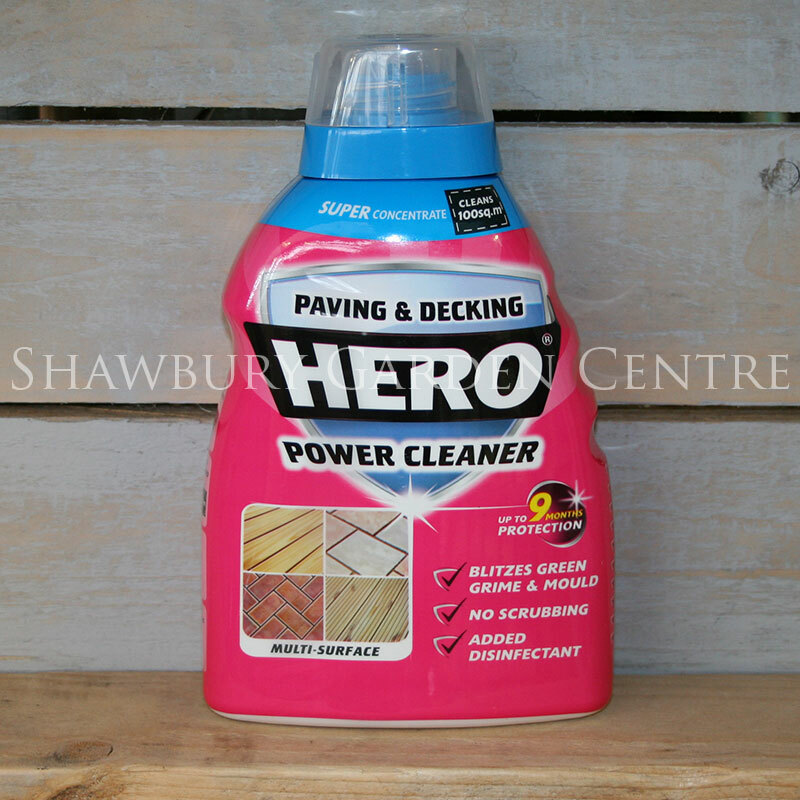 Clear & disinfect paths, patios and driveways from all traces of dirt, mould, algae and fungi stains. 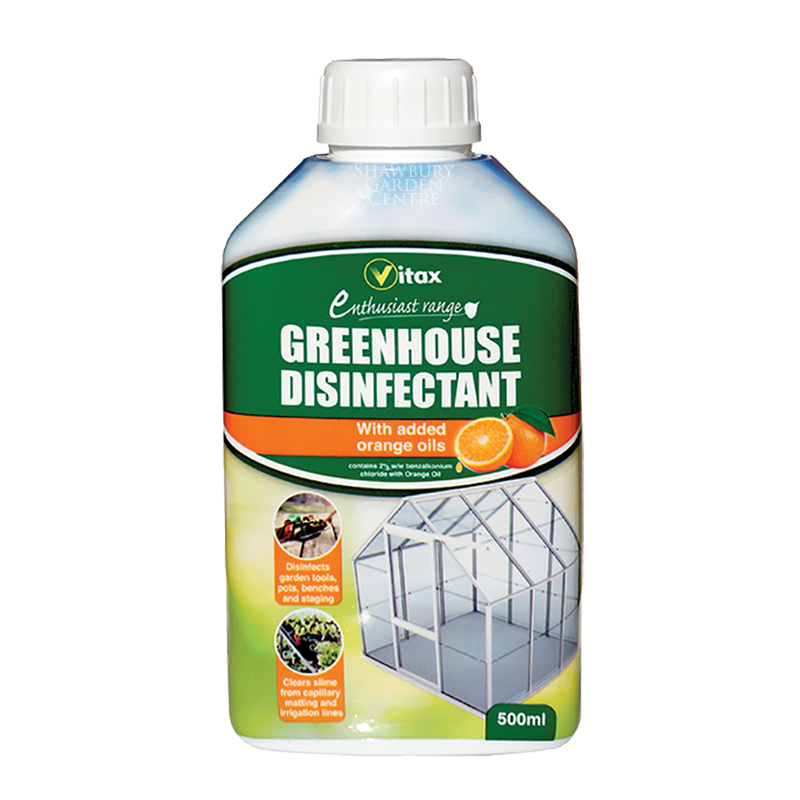 Clean greenhouses and create a healthy enviroment for your plants to grow. Disinfect animal housing/equine stabling and protect your pets from harmful pests and bacterium (including streptococcus equi). Use to clean kennels, hutches & pigeon lofts to neutralise odours. 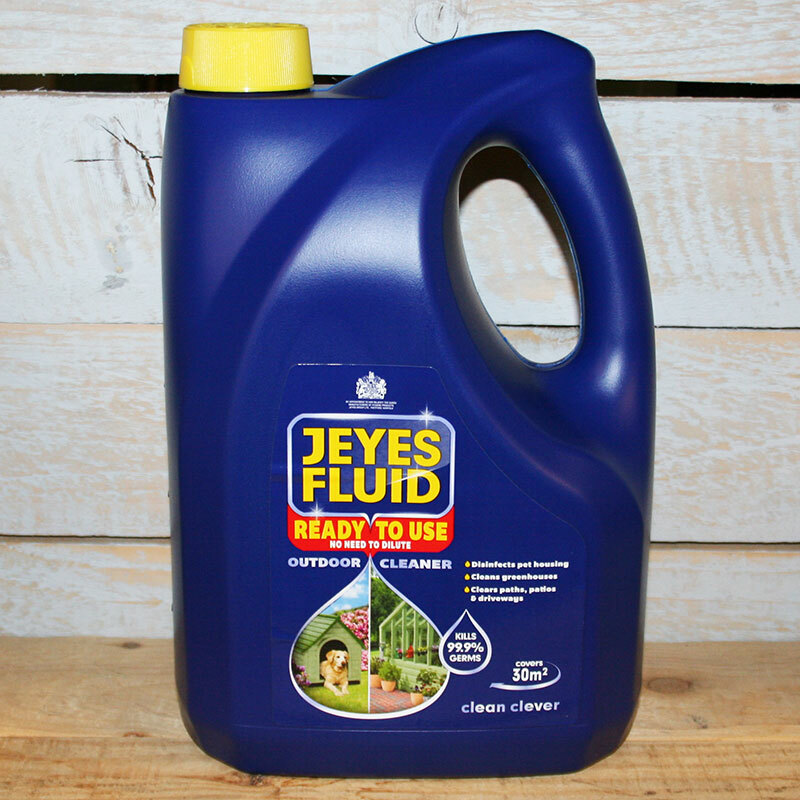 If you would like further information about Jeyes Fluid Outdoor Disinfectant, please contact our garden centre at Shawbury just outside Shrewsbury in Shropshire, by calling 01939 251315 or emailing.